What? One of Catalonia’s most important airports, serving well over 1 million passengers each year. The UK and Ireland count for 18 of the airport’s top 22 destinations. Where? 7.5km from Tarragona and 80km from Barcelona. We know the feeling. You’ve booked a flight to Barcelona that worked out cheaper than your bus ride to work each morning, but then you realised that you are actually going to Reus Airport, situated about an hour outside of Barcelona. Don’t worry, this is a popular choice nowadays, and many low cost airlines are flying into Reus. Here is all the information you need on how to get from Reus airport to Barcelona, or any of the other popular destinations it serves on the Costa Dorada, such as Salou or Cambrils. How to get from Reus to Barcelona? This is definitely the best option, with the bus stop being directly outside the airport building. This is run by a private company called Hispano Igualadina which makes sure they coincide with flights to and from the airport, so don´t worry if your flight is during the early hours because there will be a bus to suit your needs. Please note that the buses don’t tend to wait, so if you have delays, make sure you know what time the next bus is due. 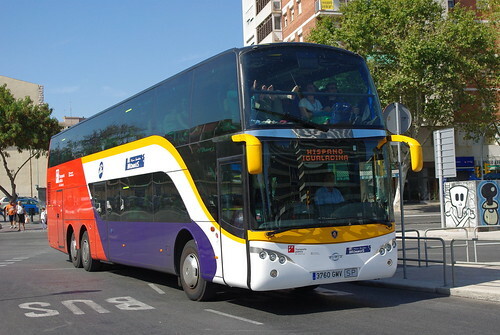 – Reus Airport to Barcelona city centre: You get the bus from outside the airport terminal. Just get your tickets and head to the buses, but be quick if there isn´t much time between your flight landing and the bus leaving. This takes you to Barcelona Sants station. Buy your bus ticket at the Hispano Igualadina office in the airport. – Barcelona city centre to Reus Airport: Just the opposite from above, take the bus from Barcelona Sants station. They are located in the bus station, which is located just over the road from the metro/train station. Buy your bus ticket at the offices in Sants station. – For timetables, please see the PDF file for the latest timetable. Advice: You cannot get on the bus without a ticket and you have to be quick- the buses run to a timetable and the drivers do not tend to wait much- if they see that there isn’t anyone waiting they will leave and you will have to wait for the next one. Price: € 14.50 single or € 25 returnWhere to buy them from? 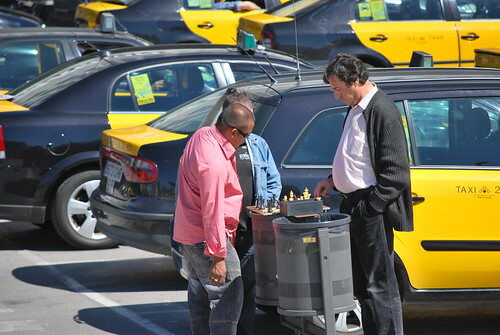 A taxi from Reus train station to the airport will cost around €15 – 20 and takes around 30 minutes. Otherwise, you can take the number 50 bus from outside the train station to the airport arrivals terminal, or vice versa. Price: € 7.40 adults € 4.45 children – these prices are one way tickets and can be purchased at the station. Train tickets can be purchased directly at Sants station in Barcelona or bought online from the RENFE’s official webpage, or alternatively by telephone. There is a taxi rank outside of the arrivals hall at the airport. However, bear in mind that it is a 110km journey and could take over an hour, probably making it more expensive than your budget flight itself. It will take around 1 hour is likely to cost more than 100 Euros, depending on the number of suitcases you have and which area of the city you are travelling to. Booking a private transfer from Reus airport to Barcelona is the most comfortable way to get to your final destination. You can order any car you need choosing a car class from Economy (a small car for up to 4 passengers) to Minibus for several passengers including some additional options like a baby seat. The driver will be waiting for you right on time so that you don’t have to spend a lot of time and effort to get to Barcelona due to a private transfer. Which airlines go to Reus? The main airline that goes to Reus from the UK and Ireland is Ryanair, with year round low cost flights. However, more and more airlines are deciding to fly to Reus during high season, and many charter flights go there to accompany package holidays to places on the Costa Dorada such as Salou. Not everybody flying to Reus will be going to Barcelona. Many tourists head to the Costa Dorada to enjoy the beautiful beaches, especially during the summer months. This could be to the towns of Salou and Cambrils, to the capital, Tarragona. There are several different buses to these locations, please see below for some useful links regarding them. Have a great trip to Barcelona or the Costa Dorada! Let us know how your trip went, and if you have any extra tips on transport from Reus airport, we’d love to update our article! We guarantee you’ll pay the lowest price for your apartment that’s out there on the internet – or we’ll give you double the difference back. Just plug in your details below and away you go. Don’t waste time dragging your luggage around Barcelona once you arrive.Book an apartment by Barcelona Sants station and stay within walking distance of the buses and trains that connect directly to Reus Airport.